WASHINGTON, DC—As AARP today launches its second annual “Operation: Stop Scams” -- a five-week-long series of more than 150 free document-shredding events and fraud education activities in communities coast-to-coast – a new AARP survey finds that almost half of consumers ignore experts’ recommendations to regularly shred their sensitive financial records. 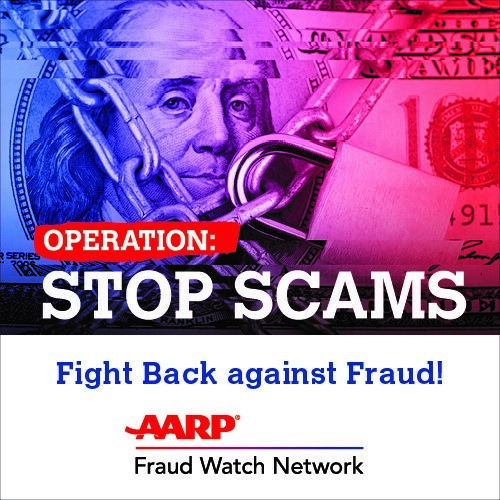 The anti-fraud activities, sponsored by AARP’s local offices in more than 35 states, include: paper-shredding events, fraud education programs – popularly referred to as “scam jams,” AARP Fraud Watch Network background presentations, tele-town halls and phone bank call-out sessions to warn consumers of the latest scams. Consumers can find their closest local event at www.aarp.org/OperationStopScams. Specific examples of AARP “Operation: Stop Scams” events range from a presentation on identity theft and cybersecurity privacy in Ralston, Neb. ; to a “Scam Jam” in Rochester, Minn.; to a fraud-fighting seminar in Fairfield, Conn. Paper-shredding events total more than 100. More than 1 million pounds of sensitive documents were destroyed during “Operation Stop Scams” in 2017.